Component Wine Company is a boutique producer of premium 100% varietal wines in Napa Valley and Bordeaux, France. They focus on producing the finest, most pure expression of each varietal, allowing Cabernet Sauvignon to be Cabernet Sauvignon and Cabernet Franc to be Cabernet Franc, and so on. Component chooses to highlight varietals in their raw, natural state. This need for single varietal expression sparked while tasting at an incredible winery on Pritchard Hill. Michael Kennedy had the opportunity to taste some of the blending components from this iconic winery, with the winemaker. One specific component that stood out was Petit Verdot that would soon become a small percentage in a Cabernet-based blend. 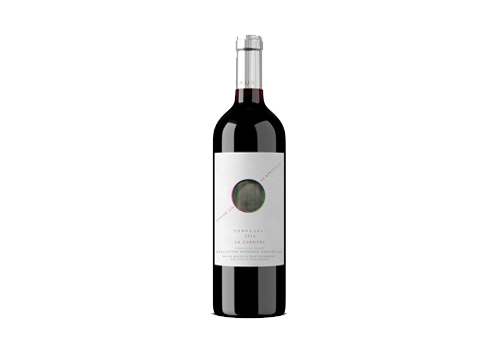 For years, Kennedy had read about the qualities of the grape, what it adds to a blend and other facts, but tasting this pure varietal wine in its raw form, and experiencing the unique and exotic beauty of the grape, he decided that he must share that experience with other wine lovers. Component's first vintage in Napa Valley was in 2013, with a single wine: Petit Verdot. In 2014, they added Cabernet Sauvignon and Cabernet Franc, and the following year added our first white wine, Semillon. Beginning with the 2016 vintage, Component had the great pleasure of working with Daniel Llose, the head winemaker at Chateau Lynch-Bages in Bordeaux, along with the team at VINIV to create incredible single vineyard, single varietal component from where it all began. Their project in Bordeaux is the first for many reasons, but mainly the first time these wines have had a chance to live outside of the blend on the global stage.